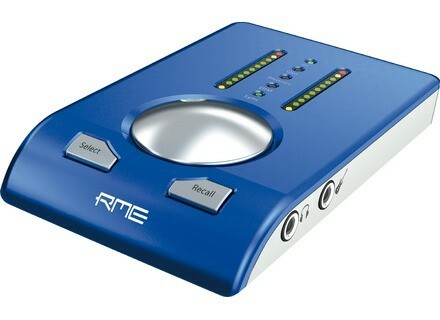 Babyface, USB audio interface from RME Audio belonging to the Babyface model. 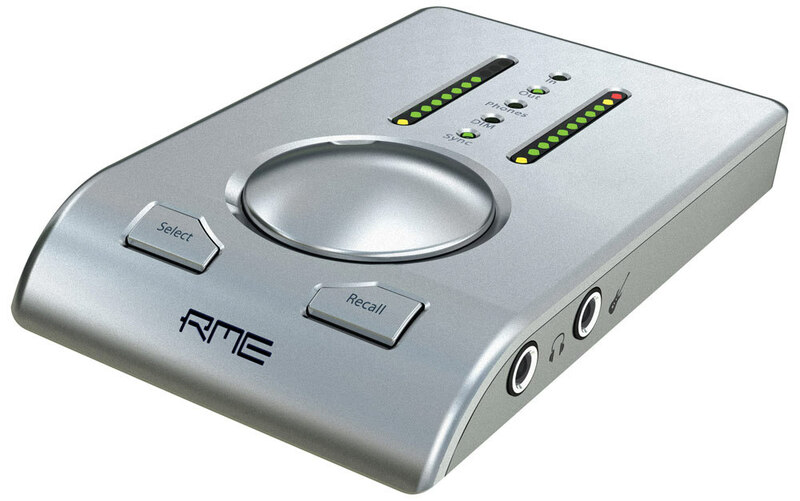 RME introduces the Silver Edition of its Babyface audio interface. With the exception of the new color, this version is identical to the original blue model. Equipped with192 kHz AD- and DA-converters and two reference class microphone preamps, the bus-powered Babyface provides two analog recording channels and four analog playback channels, plus ADAT and MIDI I/O. 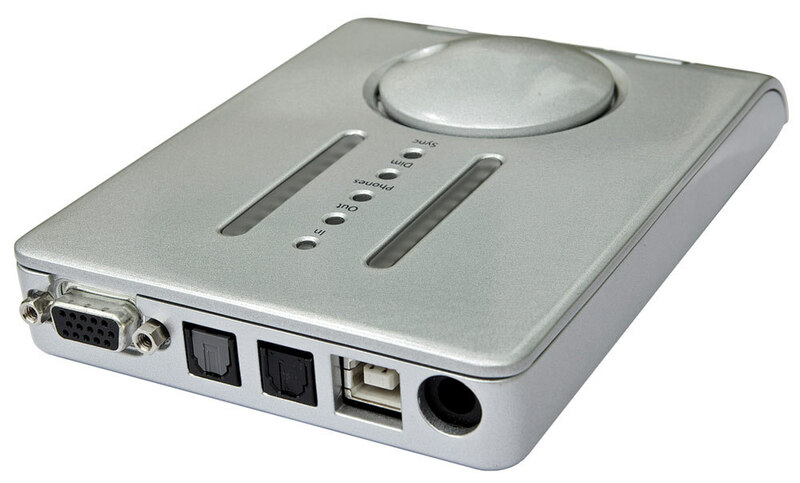 The feature set includes a digital I/O with up to 192 kHz support, alternatively usable as ADAT port or optical SPDIF I/O. 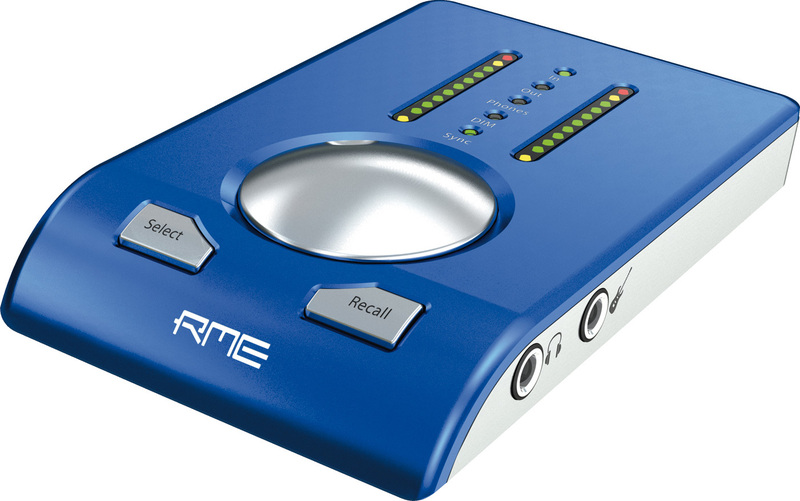 In combination with an ADAT converter, like the RME ADI-8 DS/QS, the Babyface provides 10 analog input and 12 analog output channels. 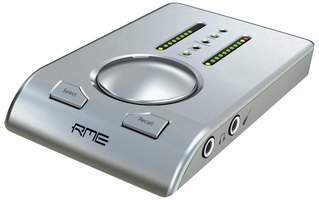 The headphone output, driven from an extra DA converter, provides 192 kHz, and is available directly at the unit as well as on the breakout cable. The Babyface connects to the USB 2.0 bus and also offers MIDI In/Out ports.The additional instrument input - at the side of the unit - allows the recording of an instrument, like a guitar or bass guitar, without any other external hardware, by switching one analog input to Hi-Z mode. New Sonic Arts Granite for Mac OS X New Sonic Arts has announced that a Mac OS X Audio Unit version of Granite, its "Granular Texture Generator" instrument plug-in, is now available. RapcoHorizon iJam for iOS RapcoHorizon is about to launch a hardware interface and amp to let you record your guitar on an Apple setup.